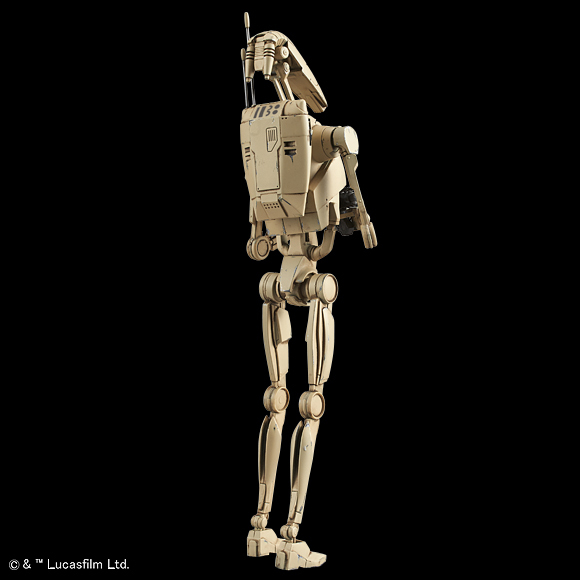 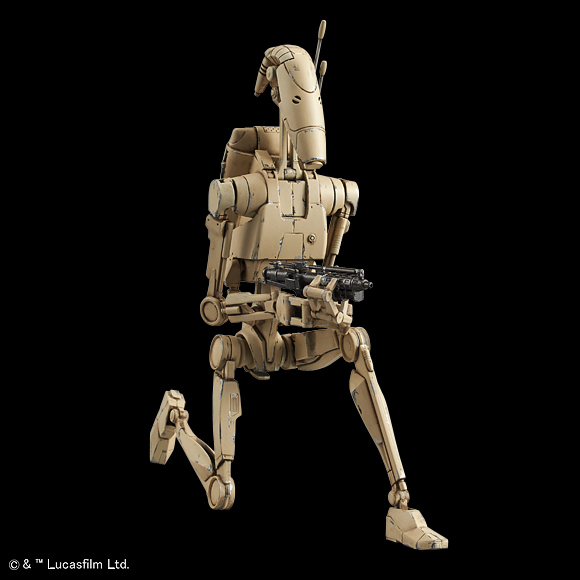 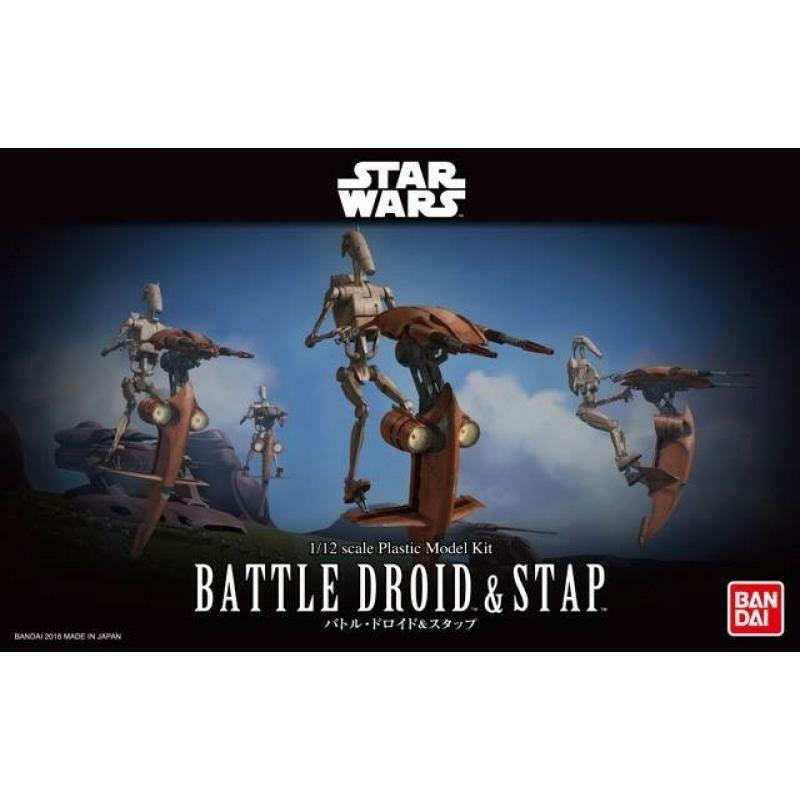 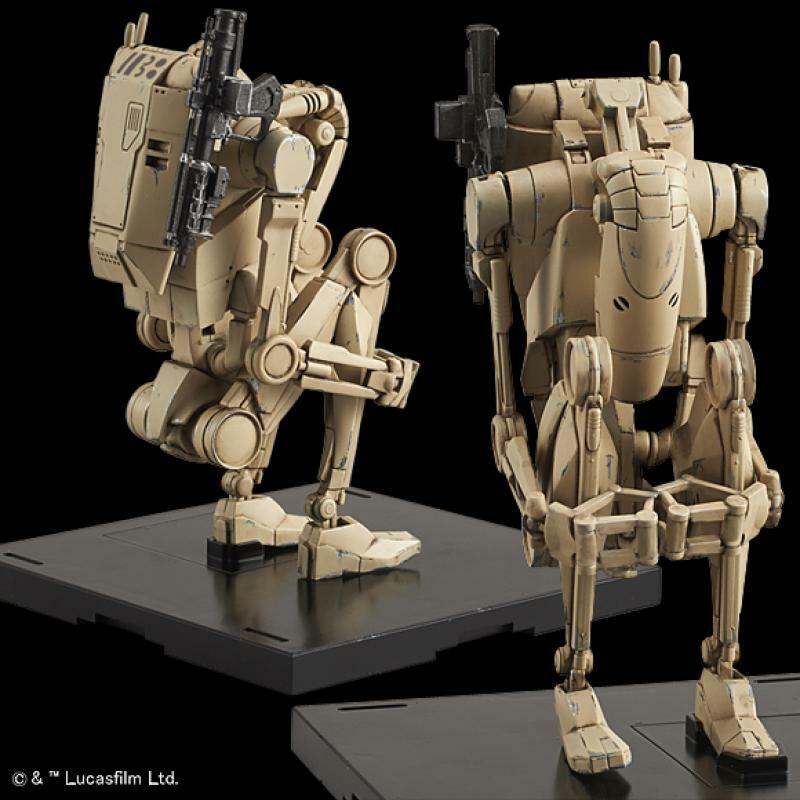 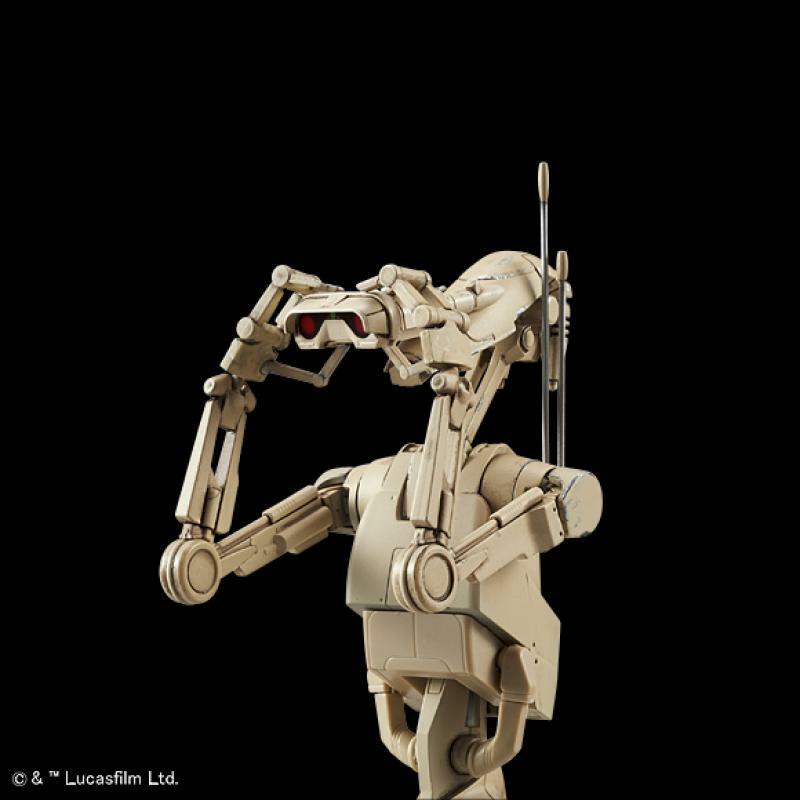 Commercialization of the trade union's "Battle Droid" that appeared in "Star Wars Episode 1 / Phantom Menace", "Star Wars Episode 2 / Attack of the Clone" and its Vehicle "Stap" set! 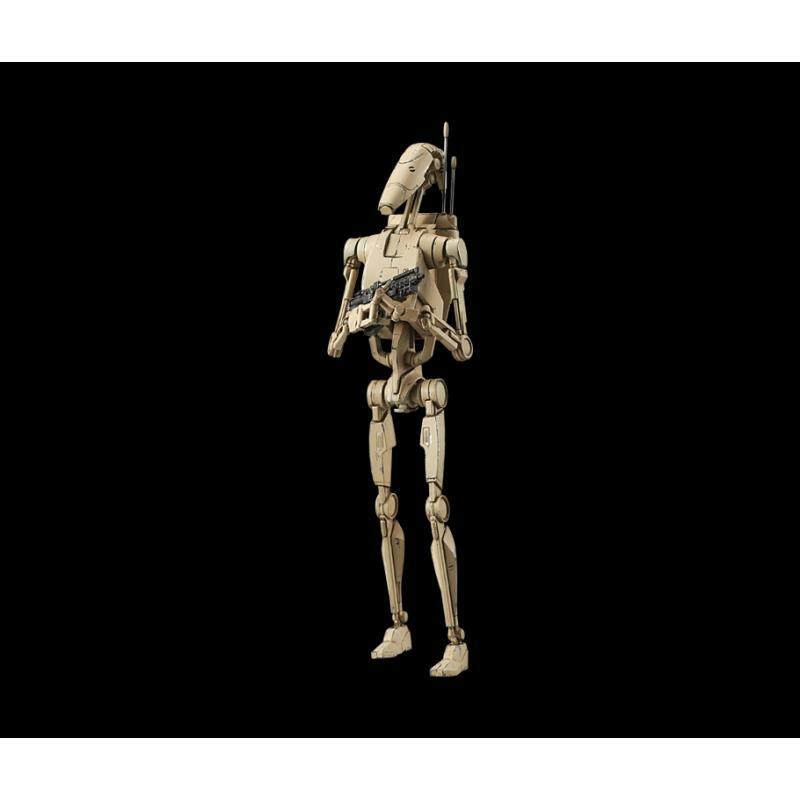 Thorough material verification realized modeling sticking! 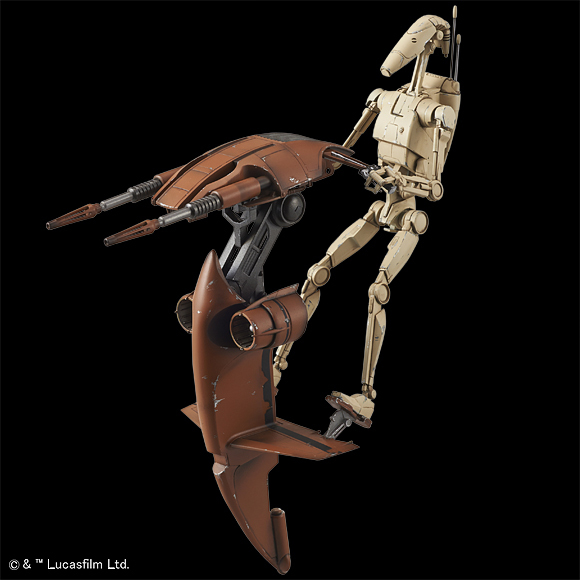 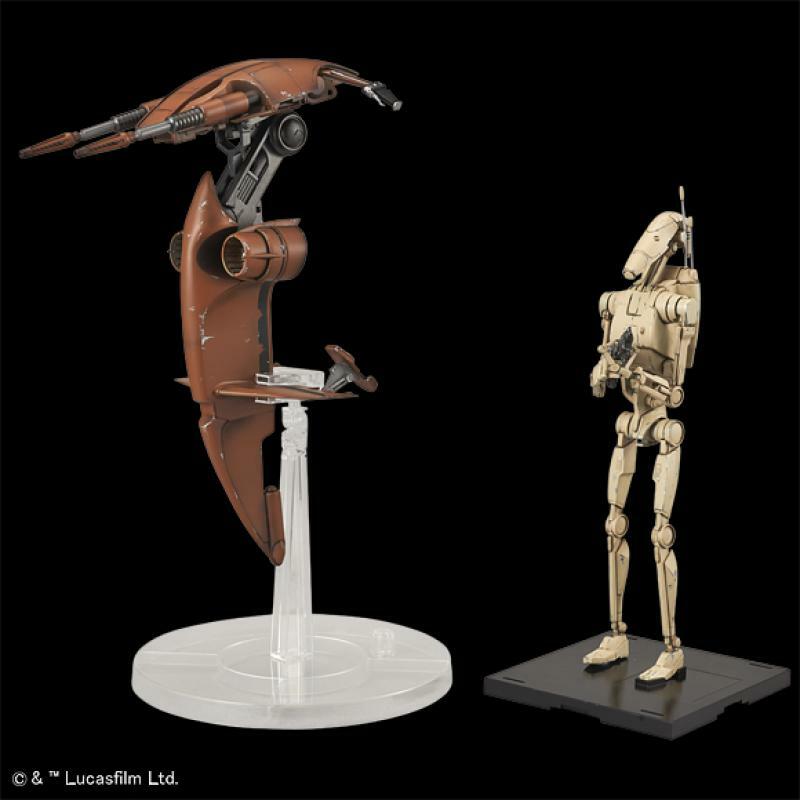 The state before the start of the battle droid can also be reproduced. 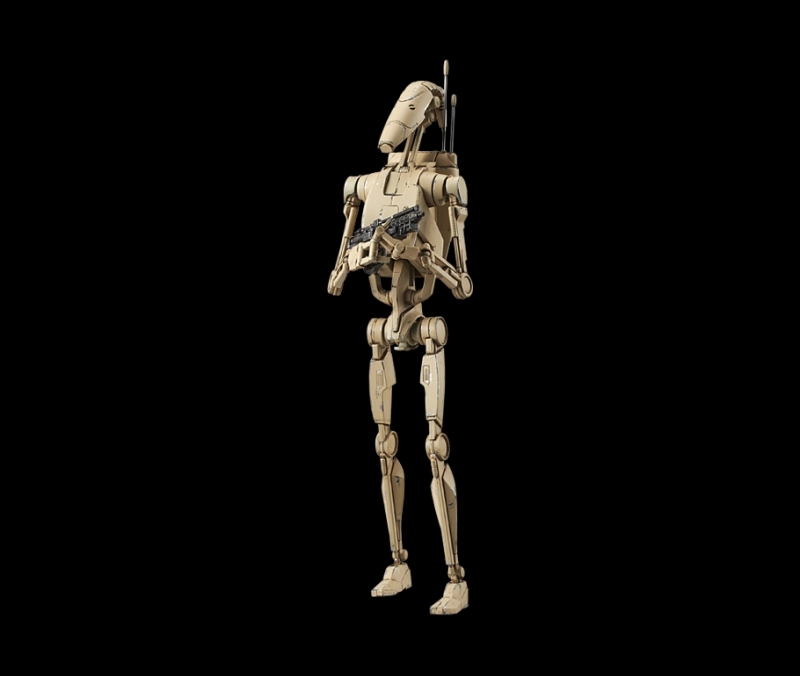 Characteristic weapons of battle droids are included. 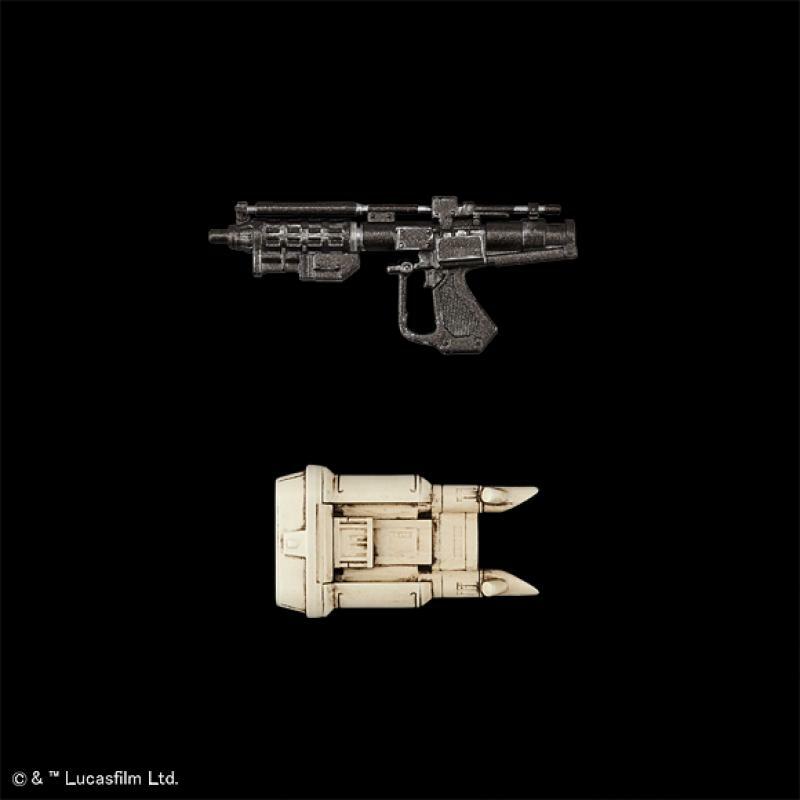 It is also possible to install a blaster in a backpack with a hook style. Battle droid backpack is removable. Macro binuclar is also included. 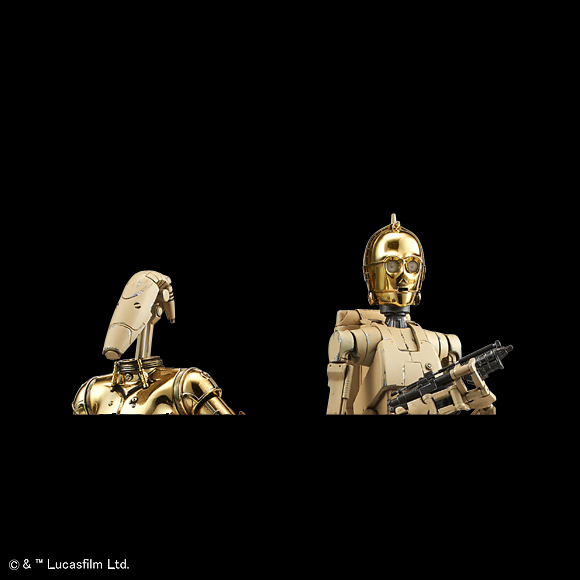 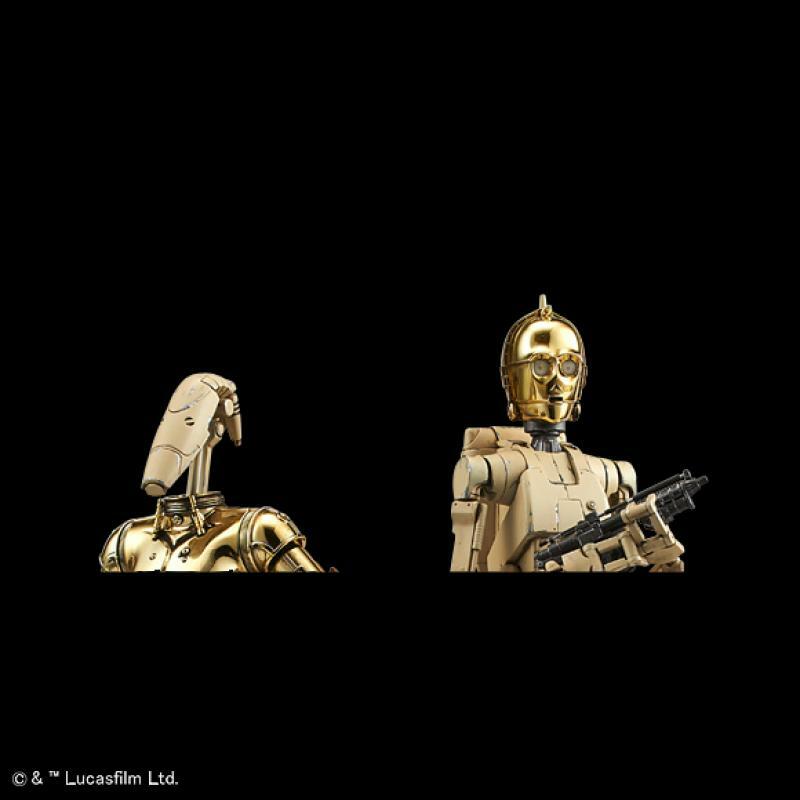 The head parts with the conventional item C - 3PO can be exchanged, and an impressive scene in the play can be reproduced. 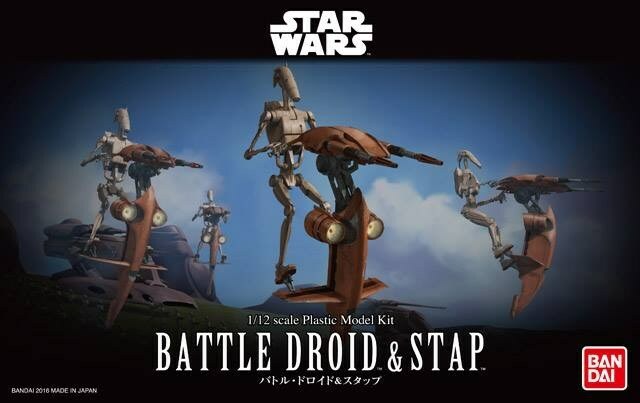 Two types of black pedestal for battle droid and clear pedestal for stap are attached. 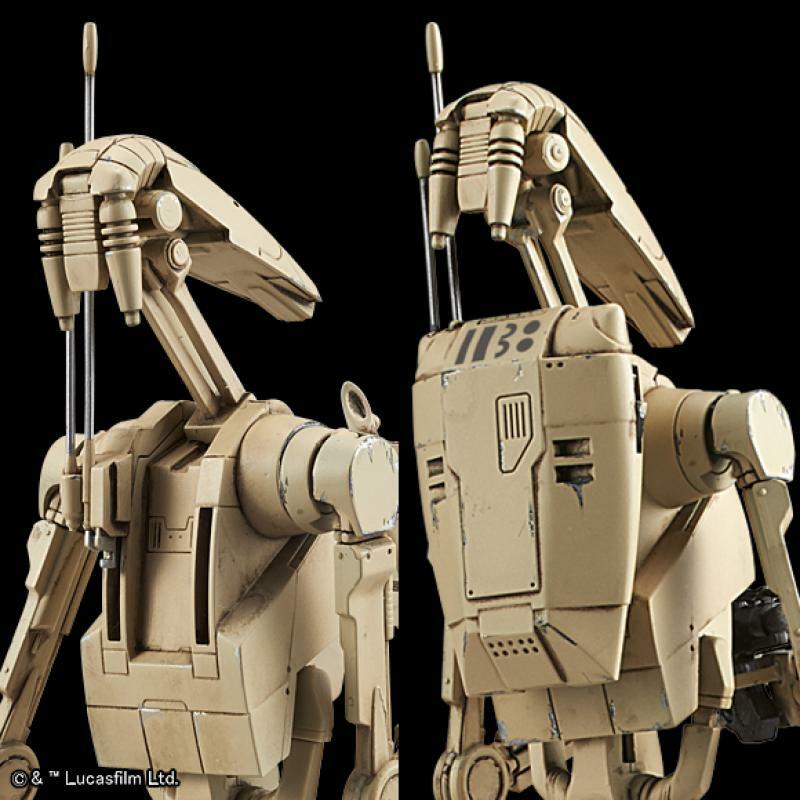 [STAR WARS] 1/12 Luke Skywalker Storm Trooper Ver. [STAR WARS] 1/12 Han Solo Storm Trooper Ver.